It never ceases to amaze me how many times my mom has lost her car keys. Even the big key fob and keytags that hang from them don't seem to help. So what does one do when the solutions they are trying don't work? Try something a little more high tech. Something like the KeySmart Pro with Tile™ Smart Location. Now as long as she doesn't lose her cell phone she will always be able to find her keys no matter where she last left them! And she can keep all of her keys organized instead of dangling off of multiple key-rings. The KeySmart Pro is the best solution for anyone that seems to always be losing their keys. 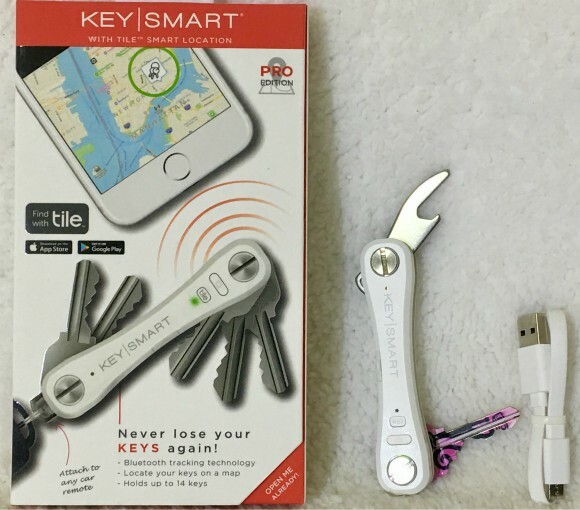 It has a built-in Bluetooth tracking device that you can sync with your cell phone so you'll always be able to find your keys. Man do I wish I had this when I dropped my keys at the corn maze last summer! Would have saved me countless hours of walking and looking. 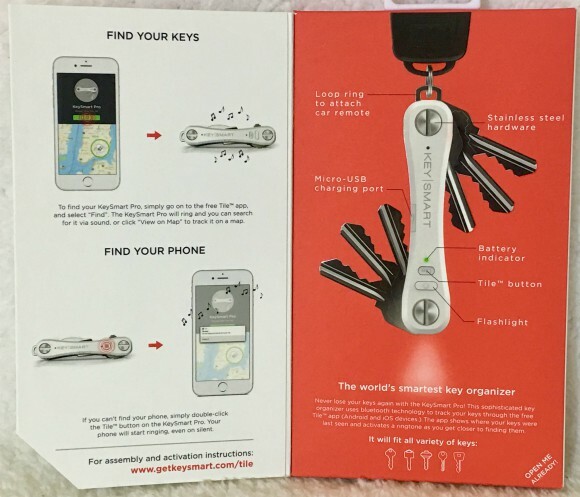 And to top off how cool the KeySmart Pro is, it can even find your phone for you if you lose it instead of your keys. Now that's pretty awesome. Not only does this key organizer come with Bluetooth tracking technology embedded, an LED light, and a rechargeable battery, but it also plays a tune so consumers can find them faster. If they’re really lost, Tile™ locates them on a map, and as a bonus, if their phone goes missing, users just hit a button on the KeySmart Pro and the phone will ring, even if it’s on silent.